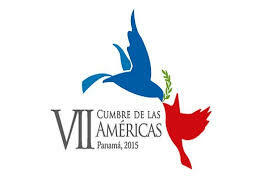 Three crises emptied the 8th Summit of the Americas, which begins this Friday (13), in Lima (Peru). The summit comes as US President Donald Trump pledges to toughen Syria; with the worsening of the humanitarian and political crisis involving Venezuela and also with reports of corruption and misconduct of former Peruvian presidents. For the first time, a president of the United States does not participate in the Summit of the Americas, the forum created by the US government in 1994 to discuss the future of the region. The meetings are held every three years, and in this summit the main theme of the agenda is the fight against corruption. Still on the agenda, leaders from 35 countries will discuss the region's problems and future, especially the impact of corruption on economic growth, development and democratic institutions. Less than a month after the start of the Summit of the Americas, Peru's then-President Pedro Pablo Kuczynski resigned before the vote on the second impeachment request. He was accused of receiving kickbacks from Brazilian contractor Odebrecht. Two former Peruvian presidents are targets of the Lava Jato scandal. Ollanta Humala, who is in prison, and Humberto Toledo, fugitive. Venezuelan President Nicolás Maduro was excluded from the meeting amid criticism of disrespect for democracy. The Venezuelan issue generates favorable and anti-Maduro protests during the 8th Summit of the Americas. A regional incident took Ecuador's President Lenin Moreno out of the discussions. He even landed in Peru, but returned to Quito to personally follow the aftermath of the kidnapping of three journalists on the border with Colombia. The team from the Ecuadorian newspaper El Comercio was abducted 18 days ago. They were investigating border drug trafficking and the actions of ex-guerrillas from the Revolutionary Armed Forces of Colombia (FARC). "I give these narcos a period of 12 hours to give proofs of life to our compatriots. Otherwise, we will go with all forcefulness, without contemplation, to punish these violators of human rights and solidarity, "Moreno warned. Moreno's announcement came after photographs of bodies were released, allegedly from abducted journalists. Colombian President Juan Manuel Santos said he would collaborate with the Ecuadorian government. Another issue that dominates the discussions at the summit is the exclusion of Maduro from the meeting, after anticipating the presidential elections, suspending the dialogue with the opposition. Anticipation was condemned by the main opposition parties and by the 17 countries of the Lima Group, including Brazil, which define the episode as a "rupture of democratic order" in Venezuela. Venezuela's top opposition leaders are jailed, exiled or disabled to run for lawsuits. Critic of the Venezuelan regime, the president of Argentina, Mauricio Macri, reiterates that he does not accept to treat Maduro like "democratic leader", even if he is reelected. In Lima, the demonstrations involving Venezuela, of favorable and opposing groups, have become constant in recent days. Social organizations and leftist parties protest against sanctions against Venezuela. According to them, the "attacks" against Maduro are part of an anti-socialist campaign, led by Trump. Maduro had threatened to attend the Summit of the Americas, even without being invited, even if he had to "go swimming" to Peru. The non-governmental organization Amnesty International has sent an open letter to the 35 leaders of the Americas, noting that any discussion of the region's economic, political and trade problems must be accompanied by human rights policies. In the letter, the NGO says that "unfortunately our region continues to be the most violent and unequal in the world, with the highest homicide rates in Central America, Mexico, Brazil and Venezuela." The organization also criticized the "rhetoric" of political leaders who promote "hatred and discrimination." In Buenos Aires, Amnesty International Secretary-General Salil Shetty met with the President of Argentina, Mauricio Macri, when they discussed the impact of the humanitarian crisis on Venezuela in neighboring countries. For Shetty, the solution to the crisis is political, since the adoption of sanctions and threats has had no effect. "Brazil, Colombia and Argentina have a key role in convincing Maduro to seek a political solution," he said, "except for the help he has received from Russia, China and Cuba, Maduro's government is increasingly isolated and closed."